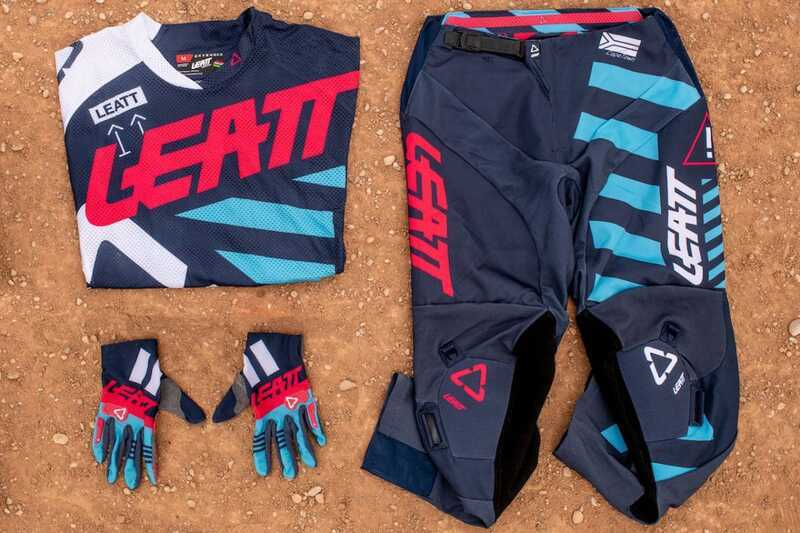 Leatt just unveiled their all-new 2019 off-road gear collection. 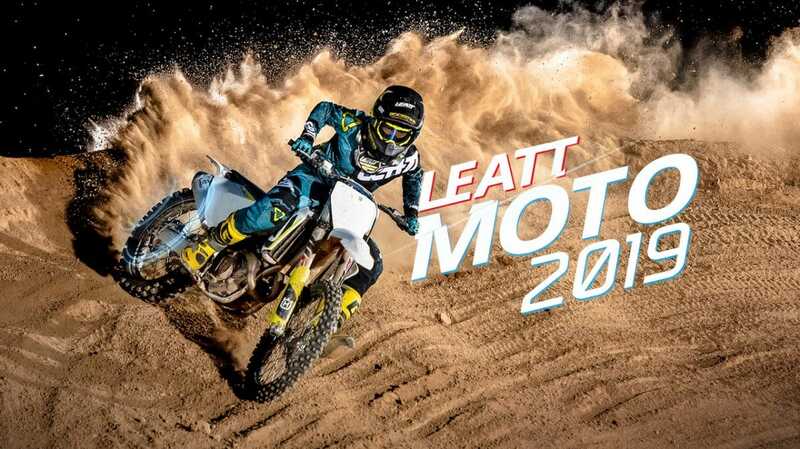 The inventors of the Leatt-Brace® and creators of technologically advanced protective gear, now offer head-to-knee protection and a full apparel range of products for all off-road Moto disciplines. The new 2019 gear line is packed with new styles and cutting-edge colorways, including new and refined pants, jacket, jersey and glove designs, as well as a range of helmets equipped with Leatt’s 360° Turbine Technology, and an extended junior collection. The GPX 5.5 and 6.5 helmets now have a new look with a redesigned mouthpiece and visor. The GPX 5.5 and 6.5 helmets now have a new look with a redesigned mouthpiece and visor. with a redesigned mouthpiece and visor. 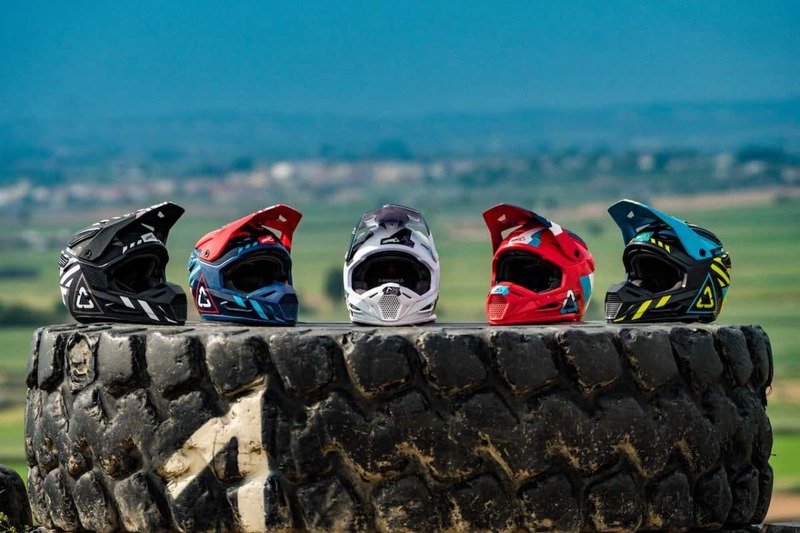 These helmets, as well as the GPX 4.5, feature Leatt’s category-defining 360º Turbine Technology and are available in both ECE and DOT shell certification. The helmets are lined with turbines, which can move in all directions, constructed from an energy-absorbing material. This technology has two key advantages, namely the reduction of rotational acceleration to the head and brain (up to 40% less) and the absorption of energy upon impact at concussion level (up to 30% less). All three helmet models feature a reduced outer shell volume, also using a dual-density V-Foam EPS, which results in a significant decrease of rotational acceleration to the head and brain at impact level, proving that a smaller shell is a safer shell. 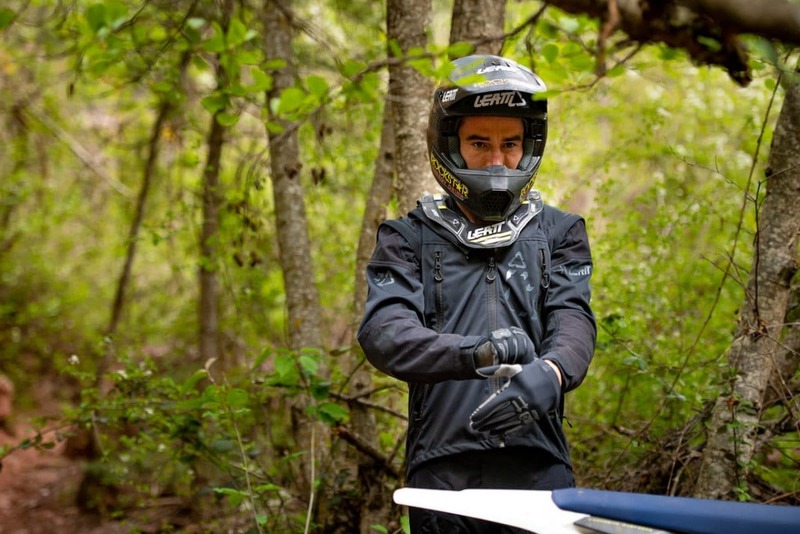 Regardless of the speed, Leatt helmets facilitate great all-round ventilation. The new 2019 gear line is packed with new styles and cutting-edge colorways, including new and refined pants, jacket, jersey and glove designs. All the jerseys are compatible with a neck brace and body armor, with welded/overlocked seams for comfort, and rear silicone grip that it stays put. There are three styles, namely GPX 5.5 Ultraweld, a super lightweight and ventilated, race-fit jersey made of a MoistureCool stretch mesh, GPX 4.5 Lite that offers a more classic fit, and the 4.5 X-Flow for those super-hot days. The GPX 5.5 and 4.5 pants feature 3D molded, fully floating knee cap reinforcement with a pre-curved fit. The 5.5 pants feature Leatt’s I.K.S (Internal Knee Brace System), which helps to reduce knee brace wear and tear. Leatt’s brand-new GPX Enduro jacket now has a 39% lighter construction compared to previous designs. Leatt’s brand-new GPX Enduro jacket now has a 39% lighter construction compared to previous designs and pairs with the off-road, over-the-boot 5.5 Enduro pants. This gear set’s durable construction is made for those truly tough conditions with features such as a bladder suspension system within the dedicated hydration pocket and the pants’ Internal Knee Brace System (I.K.S) that prevents knee brace wear and tear. The GPX 3.5 Lite has knuckle impact protection which is preformed under the material, giving a stealth look. 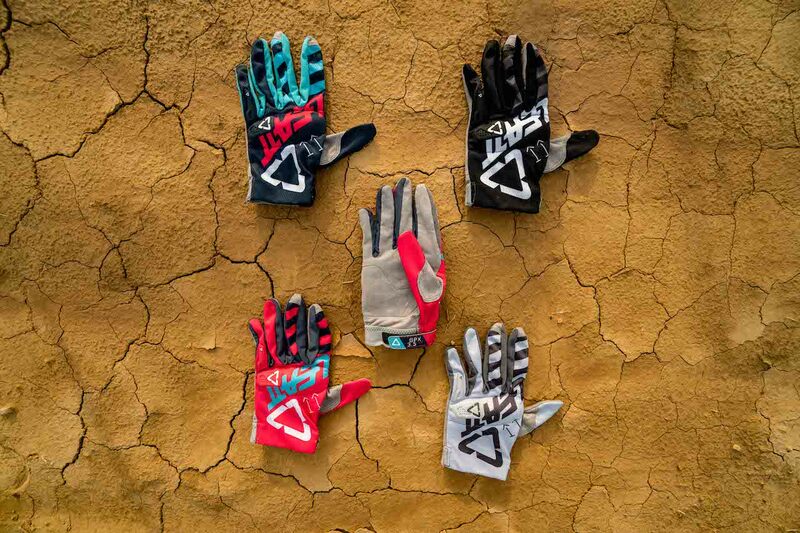 Leatt’s new glove line features five models. The GPX 4.5 Lite offers the highest level of protection, with all-new certified impact technology for the knuckles, third and fourth fingers. This lowprofile, impact-absorbing material absorbs more energy than anything else of its kind.